Quiet, unassuming pieces that you'll reach for time and again. A modern edit of gold and diamonds. Simplify your life with a capsule jewelry collection. Embracing the clean, minimal symmetry designs which it can be worn at any moment you’d like. 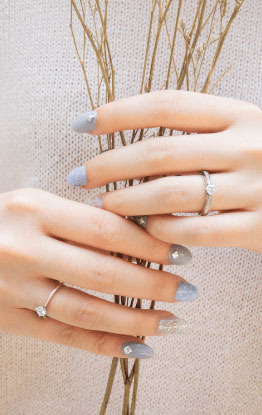 Minimalist rings are so easy to style and look just amazing on the hand.